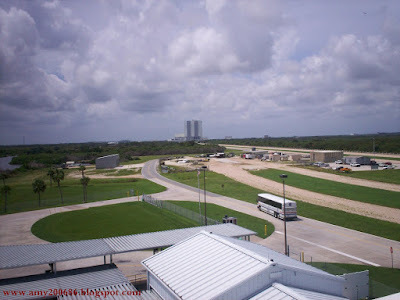 I am in the Launch Complex 39 Observation Gantry area. 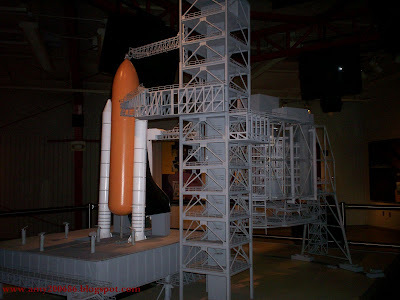 At the top of this gantry, you can see a 360 degrees view of the Launch Pads, the Crawlerway and the Vehicle Assembly Building. 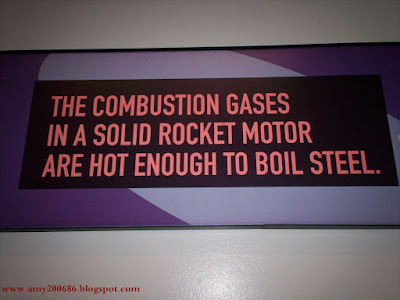 That building at the far end is the building where the scientists assemble the rocket. 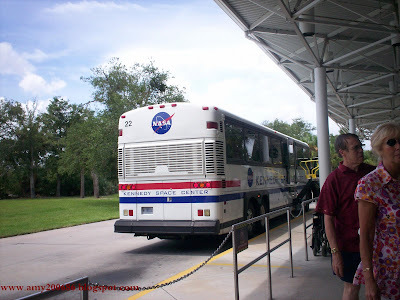 The NASA bus will take the visitors to any Tour Stop.